Consider carefully which clutch is right for your car. First you need a clutch that will hold all the power, but not too excessive. 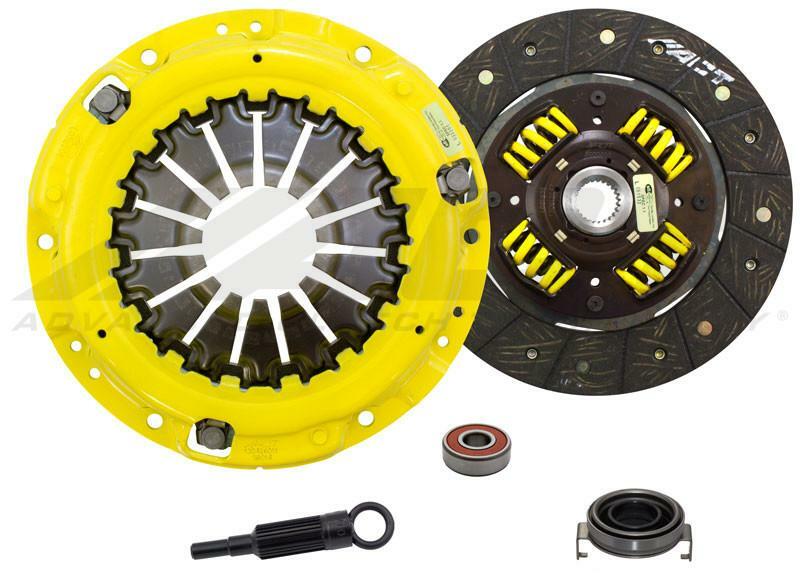 For street use, you also need a long lasting clutch that has a positive feel, smooth engagement and quiet operation. For racing, you need a tough clutch that will enable quick shifts and hard slips all the way to the finish line.The SB5-HDSS Includes the Following ComponentsSB-014 - Heavy Duty Pressure Plate - Clamp load increase of 32%, Pedal feels stock to moderate, SFI Certified to insure safety. Torque Capacity 420ft/lbs 3000502 - Performance Disc - Recommended for Street and Race, Quicker engagement, Quiet operation, best organic friction material, improved hub and burst strength. RB844 Release Bearing OEM Quality Throw out Bearing PB1004 Pilot Bearing OEM Quality Pilot Bearing AT90 Alignment Tool For Quick and Easy Installation 2005-2009 Legacy GT must use a 2006-2007 WRX flywheel for proper fitment.